Dan joined the Kawartha-Haliburton Children’s Foundation Board in 2017 and assumed the role of Chair in 2018. He also serves on the Human Resources Committee. Dan Moloney is born and raised in Peterborough. 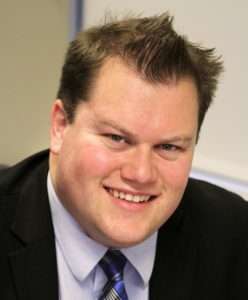 He has worked for over the last 10 years as a Financial Advisor with Sun Life Financial. 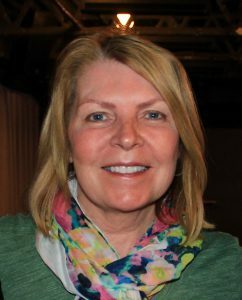 Kim Fenton joined the Kawartha-Haliburton Children’s Foundation Board in 2015 and served as Chair from 2016 – 2018. She also serves on the Finance Committee and Fundraising Task Force. Kim moved to Peterborough 12 years ago where she and her husband Chris are now raising their three school aged children. Kim spent her career working with children first as a teacher, and then as a science educator. She became involved with the Foundation 6 years ago through the Be a Kid for a Day fundraiser. Kim and her husband are dedicated to sending children in the care of the Kawartha Haliburton Children’s Aid Society to camp, as a wonderful way to help make lifelong happy memories. Bob joined the Board in 2013 and assumed the role of Treasurer in 2014. He is also serves on the the Finance Committee. Bob and his wife Nancy are long-time Peterborough residents, having raised their children here. Bob is extremely involved with his community and oversees the financial governance of the Kawartha-Haliburton Children’s Foundation. During his career as a Chartered Accountant, Bob enjoyed assisting people to reach their financial goals in life. Now retired, his passion is helping children to reach their goals and follow their dreams. 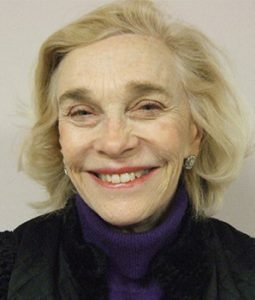 Margaret founded the Kawartha-Haliburton Children’s Foundation in 1994, and currently serves on the Bursary Committee and Fundraising Task Force. As a former Social Worker for the Kawartha-Haliburton Children’s Aid Society from 1983 – 1998, Margaret witnessed first-hand the need to provide positive experiences for the children with whom she worked. She felt deeply that they deserved to have more than their basic needs met. In 1993, in Lindsay Ontario, Margaret launched what was to become the Kawartha-Haliburton Children’s Foundation’s major fundraising event called the Dream Ball. That first event raised over $15,000.00 and sent 45 children to summer camp. Over the last 24 years, the Foundation has sent 4,529 children to summer camp and raised a total of $1,857,062.64 primarily through the annual Dream Ball. In 2005, to honour and express our deep appreciation of Margaret’s vision and her years of dedicated work, the Foundation named its post-secondary education funding program for former youth in-care, the Margaret Davies Bursary Fund. 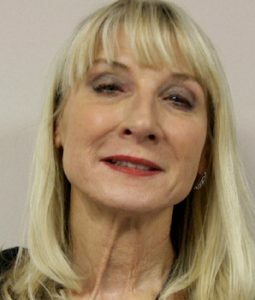 Patricia Bell Just recently joined the Board in June 2018. A graduate of Trent University and the University of Toronto, Patricia recently retired for the PVNC Catholic District School Board after 31 years, most recently as Union Teacher Welfare Officer. Patricia continues to be passionate about assisting children in our community. In addition she is a member of the Mount Community Centre Housing Advisory Committee and the Hospitality Co-Chair for the Special Olympics Peterborough Games Organizing Committee as well as volunteering for JUMP Child Minding at Goodlife Fitness. 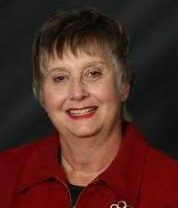 Jo-Ann Brown joined the Board in 2015 and served as Vice-Chair from 2016 – 2018. She also serves on the Bursary and Human Resources Committees. A graduate of Trent University and Fleming College, Jo-Ann has been a full time real estate sales representative for Royal LePage Frank Real Estate Brokerage working in Peterborough, the Kawarthas, and the Northumberland Hills region since 1997. Jo-Ann’s commitment to helping the children we serve is reflected in her yearly volunteer activities during the Kawartha-Haliburton Children’s Foundation’s Santa’s Sleigh helping along with the Peterborough and Kawarthas Association of Realtors. Donna joined the Kawartha-Haliburton Children’s Foundation Board in 2010 and serves on the Membership and Human Resources Committees. Donna currently works for Century 21 United Realty Inc. Brokerage, in Peterborough. As a former social worker, Donna knows that planting seeds of hope in the hearts of children is so important, as they are our future. She feels privileged to have witnessed the growth by “leaps and bounds” that children experience through the positive opportunities offered by the Foundation. Katherine began volunteering as the Accounting Administrator for the Kawartha-Haliburton Children’s Foundation in November 2013. As a member of the KHCAS staff since in May 2012, Katherine serves as their Financial Services Supervisor. She is excited and thrilled to be able to offer her professional financial expertise to the Foundation in support of such an important cause. It provides Katherine with immeasurable joy to know that the time and effort she dedicates to the Foundation truly makes a difference in the lives of some of the most vulnerable children in our community. 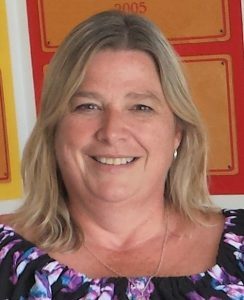 Deb joined the Kawartha-Haliburton Children’s Foundation in September 2016 in the full-time role of Executive Director. 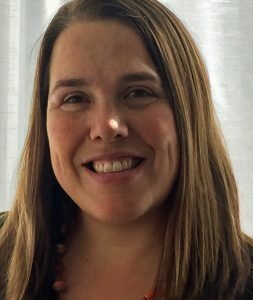 Deb has extensive not-for-profit and charitable experience through her work in the Advancement Department of Fleming College, the United Way, Kawartha Food Share, and the Ontario Waterpower Association. While growing up in Peterborough, Deb was grateful to have opportunities for taking piano lessons, participating in after-school programs, spending happy summers at summer camp, and graduating from post-secondary education. Deb is dedicated to ensuring that children receiving services from the KHCAS have similar kinds of life enriching experiences that she was so fortunate to receive as a child. Anne Quinlan has been with the Kawartha-Haliburton Children’s Foundation since 2002, and works on a part-time basis. As well as maintaining the day to day finances of the organization, Anne also serves as Board Secretariat and processes the Kawartha Haliburton Children’s Aid Society funding requests. Anne frequently interacts with the Social Workers when handling requests, and takes great pride when she hears the heartwarming stories about children’s reactions when they hear they can take part in an activity supported by the Foundation.